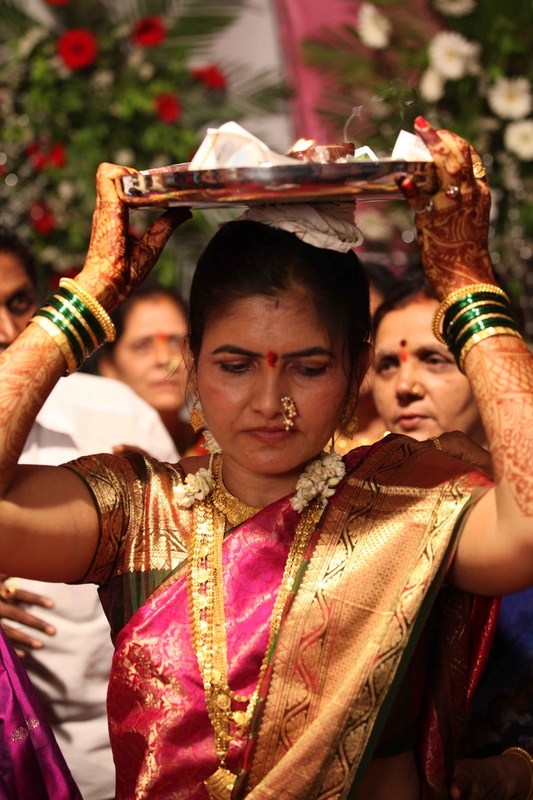 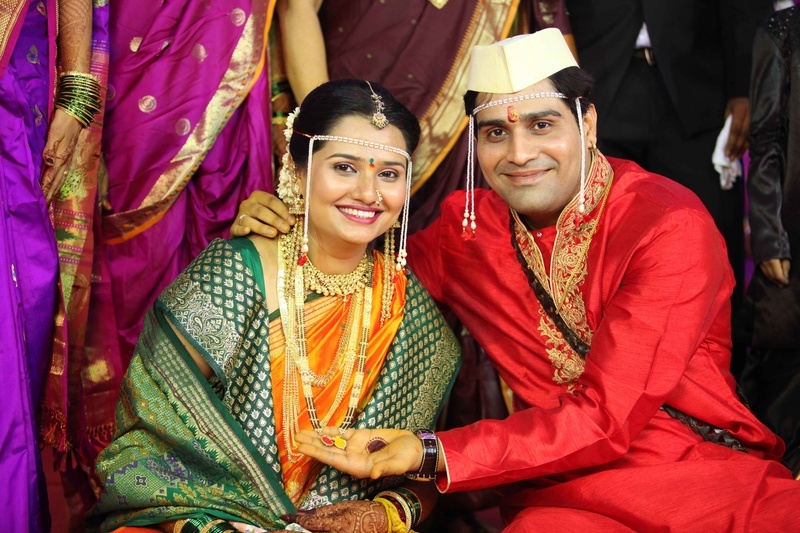 The traditional Maharashtrian wedding ceremony of Prajakta and Sagar was organized indoors and their love was celebrated in a very simple, traditional way and yet had a very strong appeal. 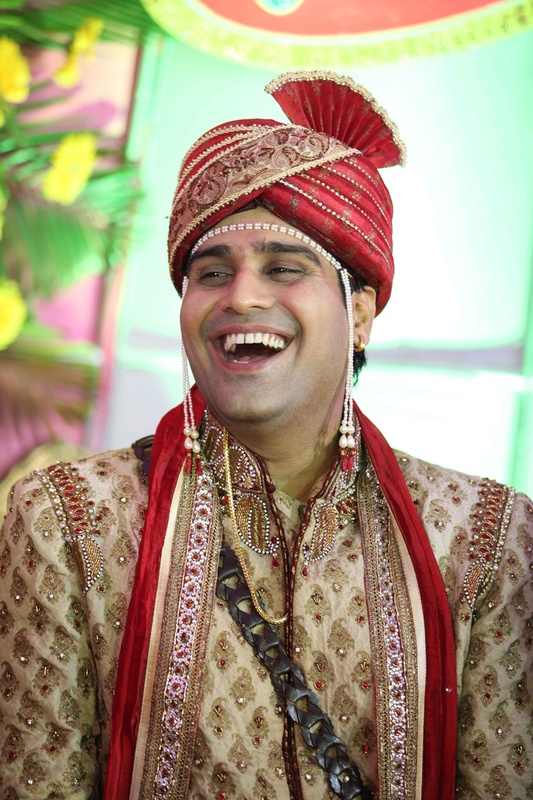 Sagar arrived at the wedding venue wearing a wonderfully embroidered sherwani that had cream and red accents along with a delicate mundavalya and a match-to-outfit dupatta and safa. 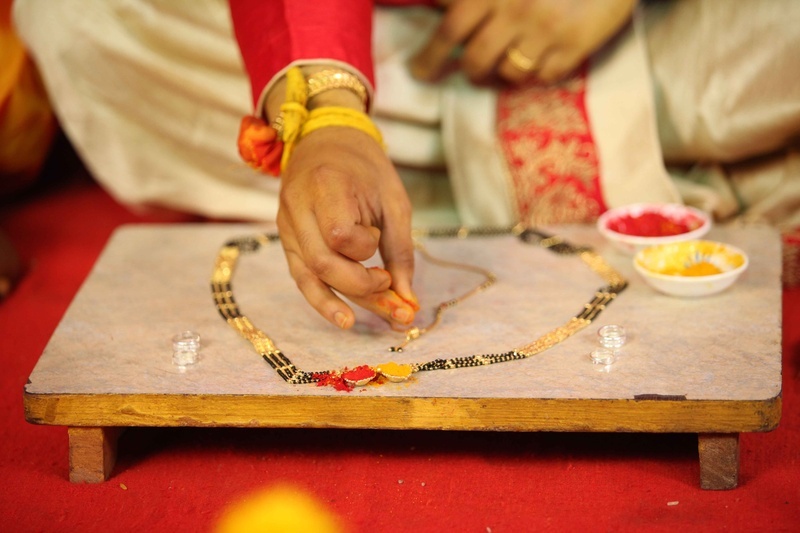 Later that day, during the mangalsutra ceremony, he had a traditional red kurta pyjama on, with an impressive cream pheta. 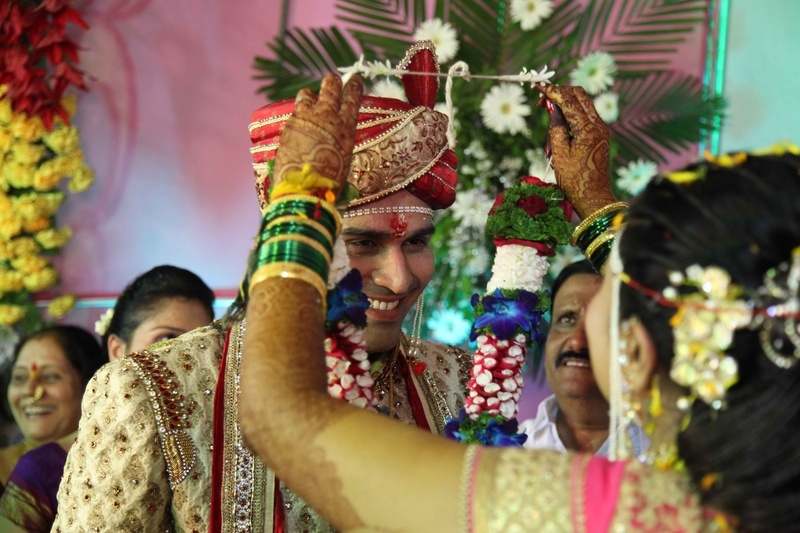 Prajakta looked ravishing in a traditional green and yellow saree with interwoven gold threadwork. 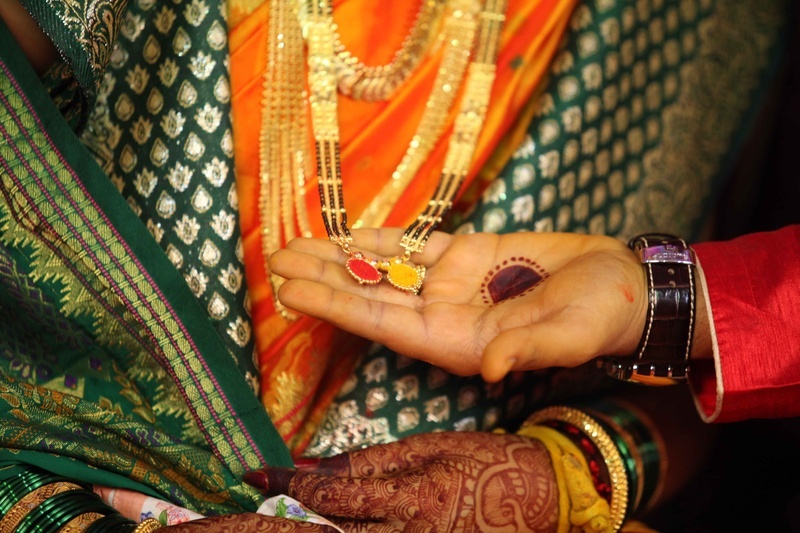 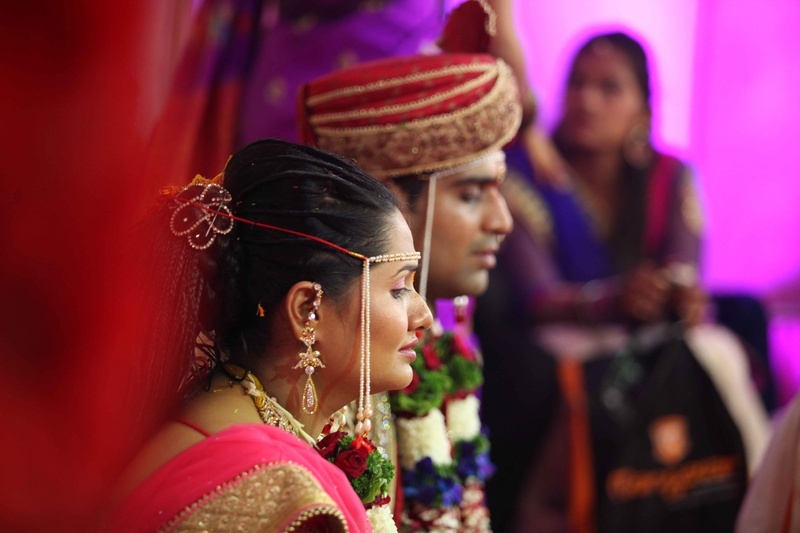 She kept her bridal jewellery simple with a small mang tikka, a delicate nath and a pearl mundavalya. 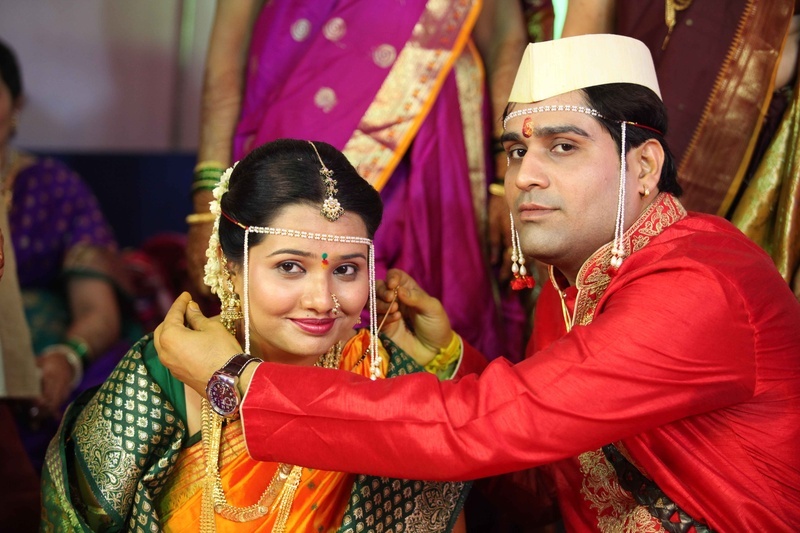 The red and green bindi accentuated her entire bridal appearance. 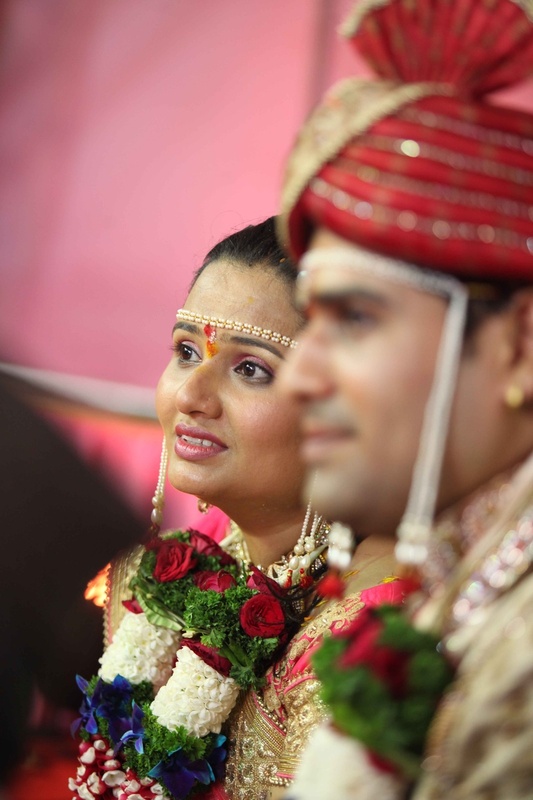 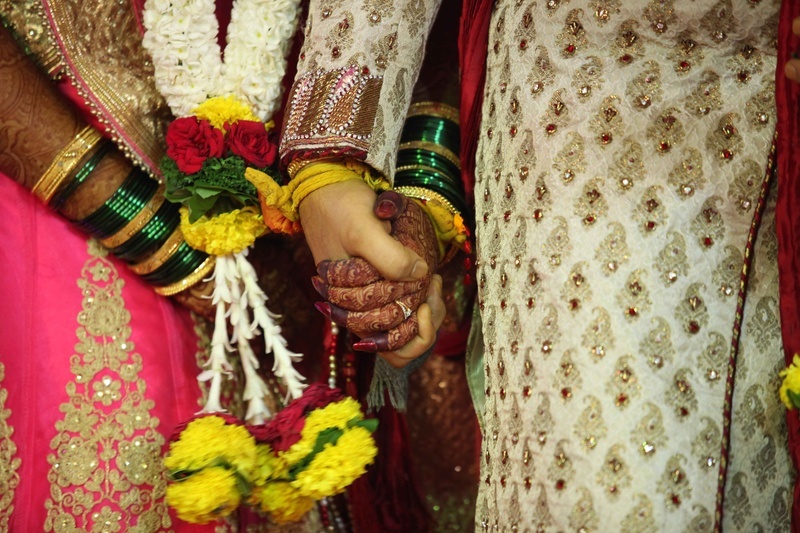 The wedding photographer for their big day was Dhwani Digital Vision Photography. 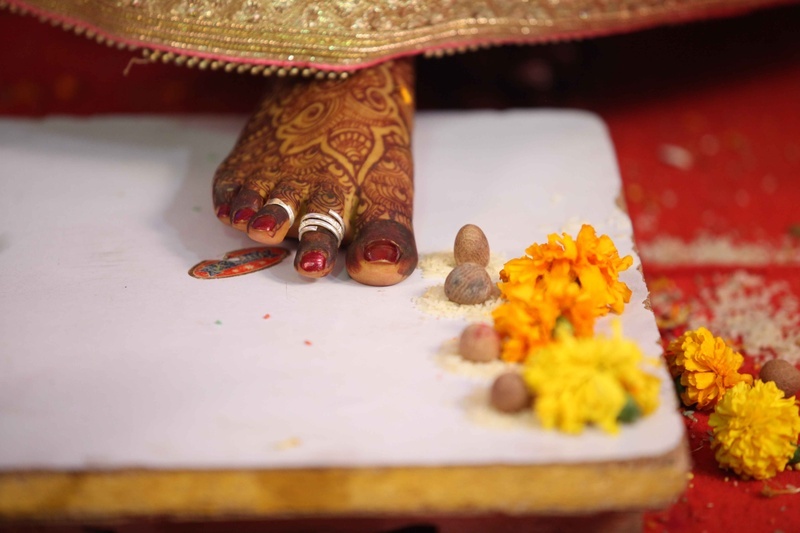 Let’s have a look at their wedding album right here!